Yeah. I hear it's neat. I know very little about ink sans. Does he always keep souls as paints? I really need to get more information on all these au's. I'm losing my touch. sorry if this was here before. i can imagine these as there actual voices.... skip to 8:37 is you watched the above. well, her initial death was caused by her plan tofuse with asriel and destroy humanity , but when they were both killed? Maybe azzy drained it away? I'll have to check these out when I get back. When I get back from work I mean. I come here intermittently but can't leisurely watch videos until I'm home. Is undertale STILL a good game? Or was the community and hype building it up too much? I really think the game is just okay. it's nice to finally go deeper with this theory. 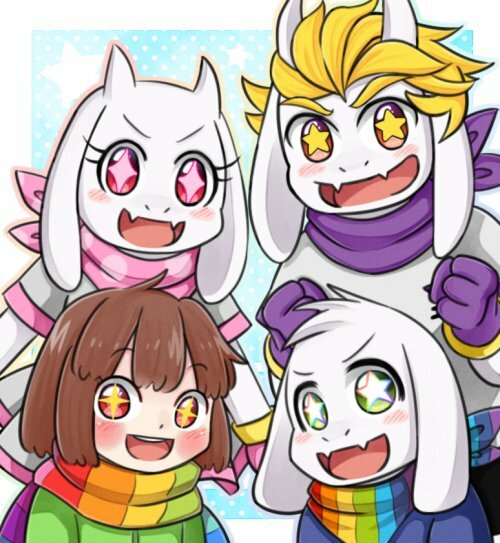 Huh.... undertale rp..... so many soul colors. Yeah! I've seen this artist before.